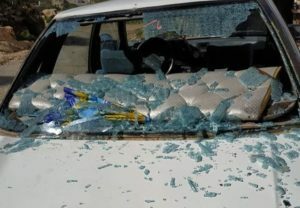 Two Palestinians were shot, Friday, by Israeli soldiers, during the weekly protest in the northern West Bank village of Kufur Qaddoum, west of Nablus, while the soldiers also abducted one child. The Israeli forces opened fire at protesters with live ammunition, rubber coated steel bullets, and tear-gas canisters, the media coordinator of the Popular Committee in Kufur Qaddoum Morad Eshteiwi said. 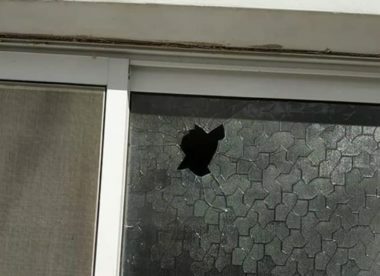 Eshteiwi stated that one Palestinian was shot in the chest, and one was shot in the leg, both were transferred to hospital, while many others suffered the effects of tear-gas. The Israeli soldiers opened fire at the home of Nusfat Eshteiwi, and abducted a child, identified as Tareq Hikmat Eshteiwi. Soldiers were reported to have “assaulted women and children” prior to the detention of the minor. The Popular Committee said the soldiers caused excessive damage to the home of Hikmat, and his car, before abducting his son, in addition to causing serious damage to the homes of Hikmat’s brothers. The community of Kufur Qaddoum has held protests every Friday for the past 8 years, expressing their opposition to the Annexation wall, and illegal Israeli settlements. The expansion of the nearby illegal Israeli colony of Kedumim, in 2003, resulted in the army closing the road to Palestinians, in order to pander to the colonialist settlers, who had taken over the land in violation of both international and Israeli law. According to Israeli based rights group, B’Tselem, the closure of the main road to Nablus city, caused Palestinians to take a bypass road, which nearly triples the travel time.